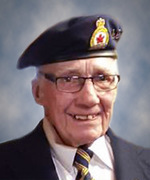 It is with great sadness the family shares the news of the passing of Leo Lawrence McMahon of Whitecourt, AB, on April 9, 2019, at the age of 83 years. Leo is survived by his loving wife of 53 years, Anne; son, Tom (Cindy); daughter, Bonnie Commandeur; grandchildren, Cole (Steph), Holden, Jensen, Tymara and Kayleb; great-grandchildren, Eli, Gabby, Dreya and Shyla; nieces, Nanette (Gary) and Susan (Gordon), and their children; niece-in-law, Kathy, and her daughter; and many more dear relatives and friends. Predeceased by his parents, Russ and Bernice; brothers, Howard (Martha), Bud (Fran) and infant, Lawrence; sister, Myrtice (Gilbert); and nephew, Marc. Funeral Service Tuesday, April 23 at 11:00 a.m. at St. Joseph Roman Catholic Church, 5538 Mink Creek Road, Whitecourt. Reverend Benjamin Belgica officiating with interment in Whitecourt Cemetery. To honour Leo’s extraordinary life, donations may be made to The Friends of Whitecourt Society, Box 1101, Whitecourt, AB T7S 1P1 or to the Royal Canadian Legion, Branch 44, Box 874, Whitecourt AB T7S 1N8, or to a charity of one’s choice.